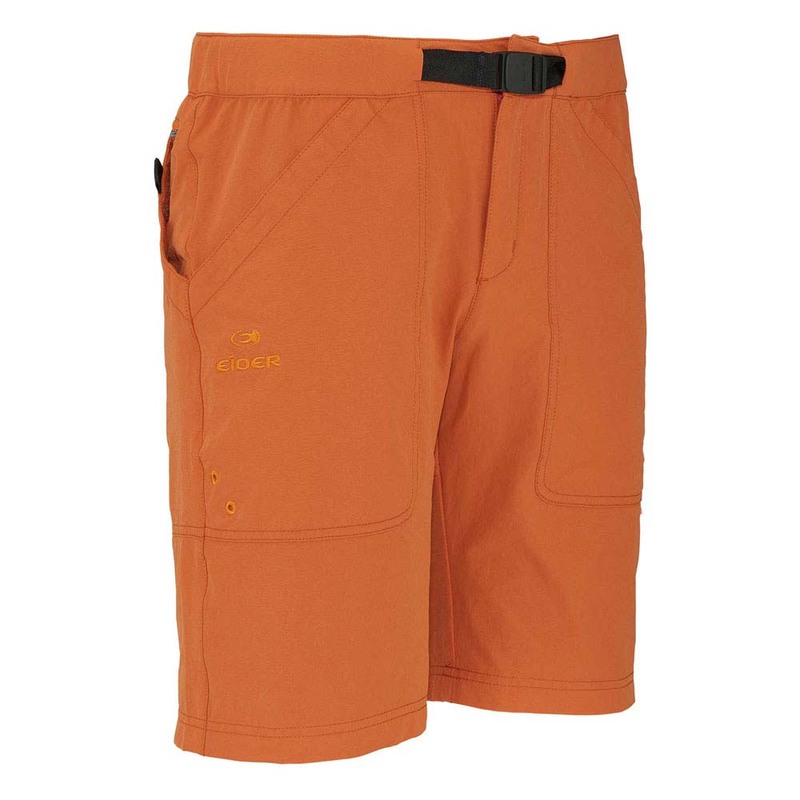 "The short that will quickly become your go-to for trail, town, park, or beach, the Saikan Shorts are constructed with an uber-stretchy, moisture-wicking performance fabric, so they are light and breathable even on summer hottest days. The built-in belt and multitude of pockets make them even more user friendly, ideal for the guy on the go. - Comfort and fluid movement thanks to the fabrics stretchiness. - DRYCORE fabrics absorb sweat and quickly spread it over the outer surface for rapid removal. They come in various weights, resist creasing, and are easy care. Some also have an anti-UV finish. - This product wicks away moisture with high efficiency. Youre sure to stay dry and warm, even during intense exertion. - Versatile fit. Suits most body shapes. - DRYCORE RIPSTOP STRETCH // UPF 40 // 94% POLYAMIDE 6% ELASTANE"